Count William Eliott Morris Zborowski was born in Elizabethtown, New Jersey, America, from a Polish family. Elliot Place in the Bronx (Kelch Park) New York, is named after Elliott Zborowski who purchased property from the Morris family in the 19th century and enhanced the grounds with elaborate landscaping. He married Margaret Laura Carey, the grand daughter of William Backhaus Astor in 1878 and lived much of his life in England, owning a house in Melton Mowbray. He became a naturalised Englishman. He was an allround sportsman but paticualerly loved racing Mercedes cars. He was the moral victor of 1902 Paris-Vienna race in a 40hp Mercedes, finished 4th in the Circuit of the Ardennes on 31 July. In 1903 he entered his Mercedes 60 in the Nice week which included the hill climb at La Turbie. The La Turbie hill climb was a very dangerous one according to references from that era and a few years earlier Wilhem Bauer had lost his life there. Count Eliot started his run at 0912 hrs, a few bends later it was over. He crashed his car against the same rock that claimed the life of Bauer. 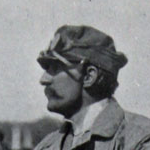 His passenger, Albert, Marquis de Pallange, was catapulted out of the car but survived the impact. The legend goes that the Count was wearing cuff-links and that were entangled with the throttle lever on the hub of the steering wheel. However resarch with owners of 1903 60hp Mercedes indicates that if such a thing happened the movement of the steering wheel would have closed the throttle. As a consequence the hill climb meeting was stopped and no further events were held at La Turbie until six years later on March 28, 1909. When Selwyn Edge won the Gordon Bennett race to Innsbrusk in 1902, it became Great Britain's honour to host the 1903 event. Racing was banned in England at the time so, while a special Bill was progressing through Parliament to allow the race to be run in Ireland, Elliott and Selwyn Edge made a second trip to Ireland to set out a course for the event. Elliott proposed that British entrants should be painted green to honour Ireland for allowing the event to take place there. British Racing Green became the country's colour thereafter. His son, Count Louis Zborowski, would die during the 1924 GP of Italy. With thanks to David Paine, author of 'The Zborowski Inheritance', for the additional information.